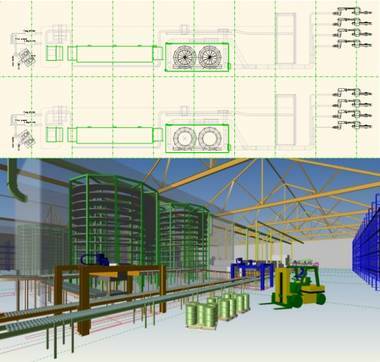 Machinery providers delivering turnkey projects, who need to visualise their equipment in client factories, will learn about the ease and benefits of large-scale 3D process line design during a 45-minute webinar on 15 or 23 August. 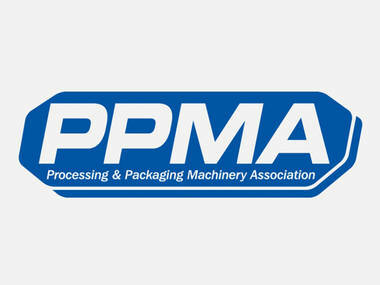 Engineering software expert CAD Schroer recently joined the UK Processing and Packaging Machinery Association (PPMA) as an affiliate member. 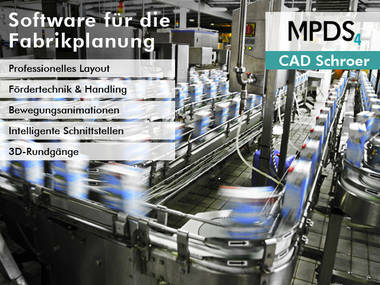 CAD Schroer’s MPDS4 FACTORY LAYOUT software is equally valuable to sales and project engineers. 3D component routing, connection or placement based on standard catalog definitions provides speed and flexibility. Impressive pre-sales visualisations form the basis of detailed designs once a project is won, saving huge amounts of time. Automatic clash detection, generation of parts lists for project costing, and of 2D drawings for construction, cut time, costs and overheads, increasing quality and avoiding expensive mistakes on site. The free webinar will include a Q&A session at the end. “We look forward to welcoming process machinery and turnkey installation providers online this August, and in person at the PPMA show in September,” says Bill.